Marketers today are held to a higher standard than ever before in showing their contribution to their business' pipeline and bookings. For this to happen, not only do clear attribution models need to be in place within your marketing automation platform, but also the integration between this platform and the business's CRM is crucial to ensure that attribution can be tracked from a marketing first touch to a Closed Won opportunity and everything in between. To help in your effort, we culled five problems we see frequently that can cause a breakdown between marketing and sales data being passed between HubSpot and Salesforce. 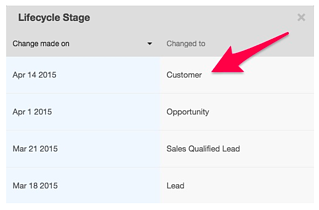 In order for HubSpot to attribute and update a contact's lifecycle stage and associated deal size to an opportunity in Salesforce, that contact record must be assigned as the primary contact on that opportunity. If that contact had not been associated with the opportunity, then he or she would never have been marked as a customer in HubSpot. This would result in the marketing team's bringing the contact through the funnel without the appropriate attribution. For information to pass correctly between HubSpot and Salesforce, the contact property types must be the same. For example, a single-line text field won't sync properly to a drop-down menu. 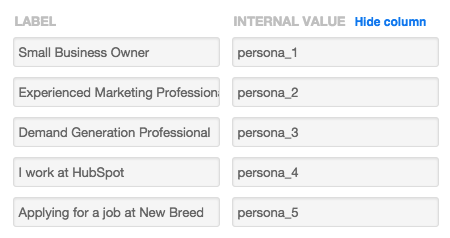 On top of that, each field must have all the same values in both platforms. Simply clicking on the dot will show you which properties are missing from either HubSpot or Salesforce and causing the integration to break. It will also give you the option to correct issue by refreshing the mapping on the spot, or you can go in and make any updates yourself at another time. The integration between marketing and sales platforms is crucial for closed-loop analytics. However, when doing this you need to be aware of some property duplication (once the CRM has been turned on in HubSpot) that will affect your integration. A great example of this is the Lead Status property, which is native to the HubSpot-Salesforce integration but is also created by the HubSpot CRM. All of a sudden, if a rep was creating a dashboard or started populating the wrong property, we'd be splitting data and breaking our lead-handoff process. If you are just starting to use the HubSpot CRM or you are layering it on top of Salesforce, be careful about properties that might be pre-existing and can be duplicated. Additionally, you will have to make a decision—as a team—as to which property everyone should be using (and then delete the duplicate). Another common problem is that a contact(s) will appear in your CRM's leads queue unexpectedly. Or vice versa: A marketing-qualified lead you want to send to sales isn't syncing. This is usually caused by incorrect sync-list criteria that is either erroneously sending contacts to Salesforce, or preventing ones that should be sent from syncing properly. So if a contact or group of contacts isn't syncing, start by looking at your sync list and confirming that the desired criteria is in place. Then go back and examine why the contact records in question aren't meeting the criteria. If your sync list is controlled by lifecycle stage, there's likely a workflow that's updating the contact record, whose criteria you'll want to examine. If your sync list is controlled by lead score, you'll want to check your custom lead score properties to see what's causing the discrepancy and then make updates accordingly. Always; I want the most recent data from either system to populate that field. Only if blank in Salesforce; if Salesforce already has the data, leave it untouched. Never; I only want Salesforce data to update the HubSpot property. I never want data to pass between these fields. So if information is being passed between the two systems in error, this is where you need to check. Have you run into these problems in the past? How have you solved them? Are there other common problems you keep running into you'd like us to write about? Let us know in the comments below.